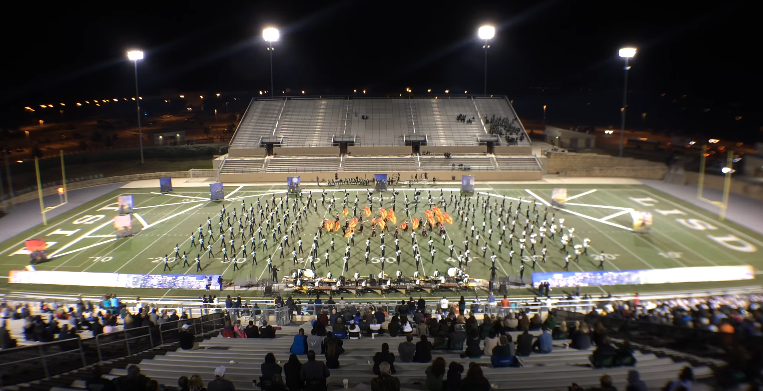 Is this the most frightening marching band in Texas? America? Now when we say frightening we mean scary scary good especially when they are performing a halftime show dedicated to some of the greatest Halloween movies EVER! Movies like Hocus Pocus and Nightmare Before Christmas to be exact. Cedar Park HS is located just north of Austin, TX and clearly there is something in the water in that part of the state. Round Rock HS which is just across town from Cedar Park is also really stinking good. This show made it all the way to the BOA Grand National Championships in Indy. Share so all fans can enjoy this performance. Follow us @hsmarching and our good friend @worldofmarching on twitter so you never miss a show!